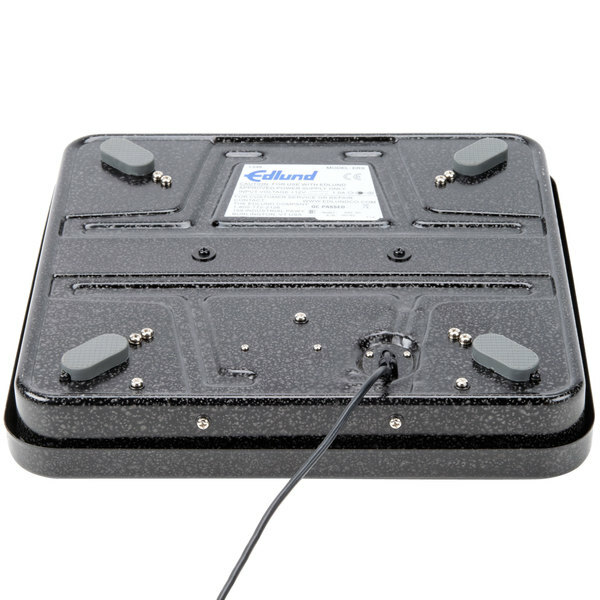 The Edlund ERS-60 RB 60 lb. 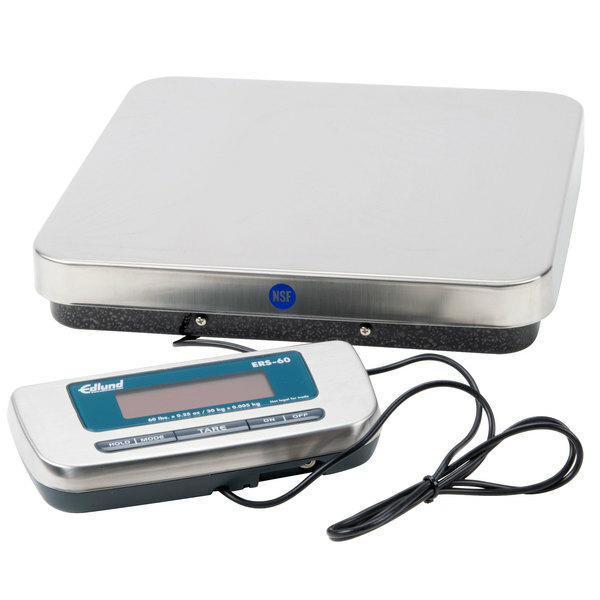 digital scale is a low profile, medium-duty, totally portable scale that is perfect for your receiving area or stock room. 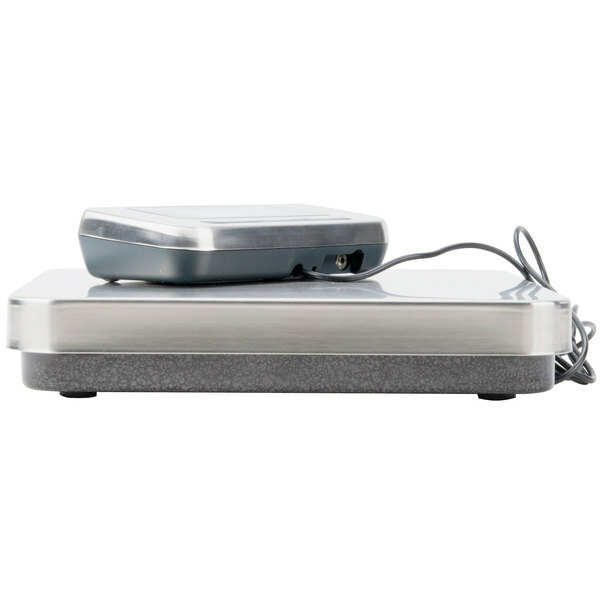 It features a rechargeable battery pack that provides hours of battery life. 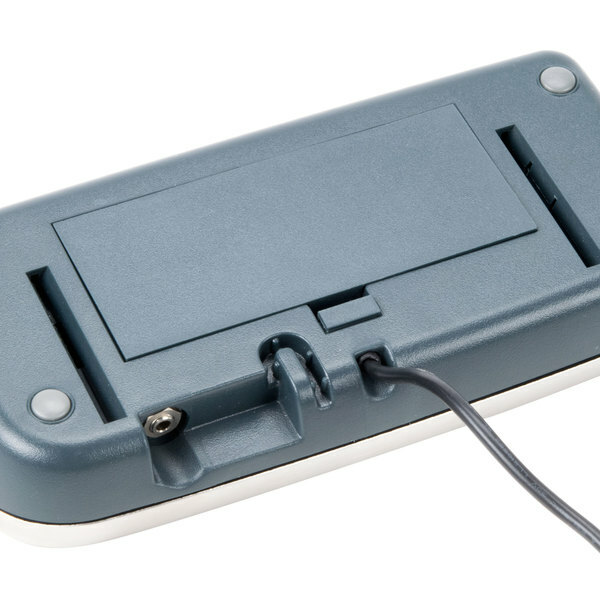 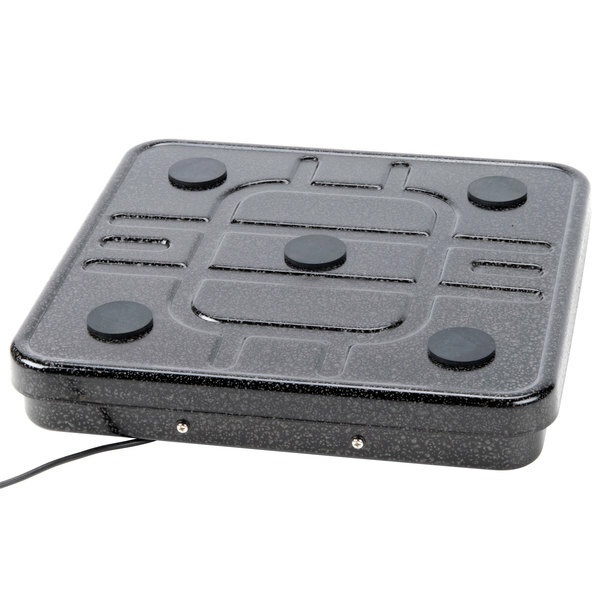 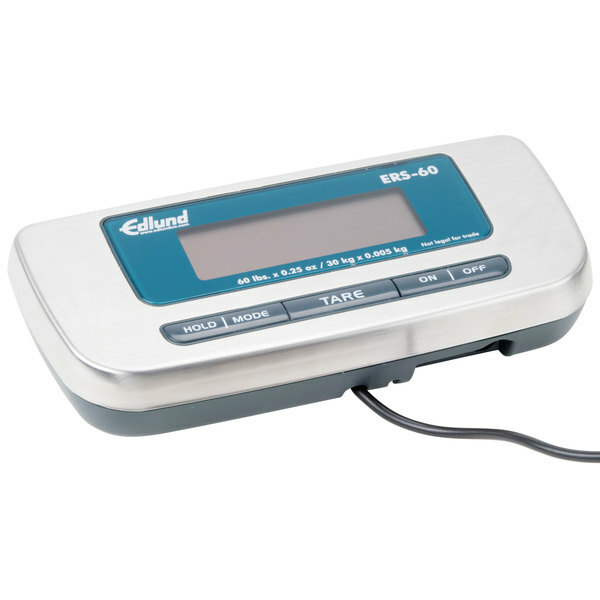 The Edlund ERS-60 RB scale can also operate on (6) AA batteries. 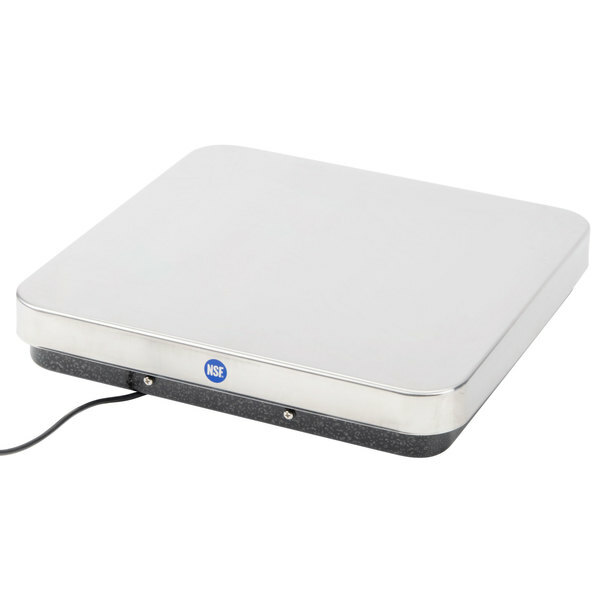 Its ample, 12" x 12 1/2" platform provides plenty of space to weigh large volumes of produce, seafood, or other ingredients right off of the delivery truck. 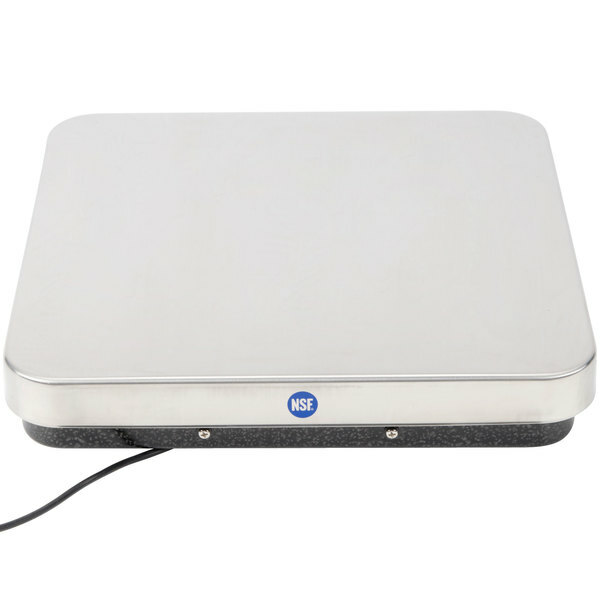 The Edlund ERS-60 RB 60 lb. 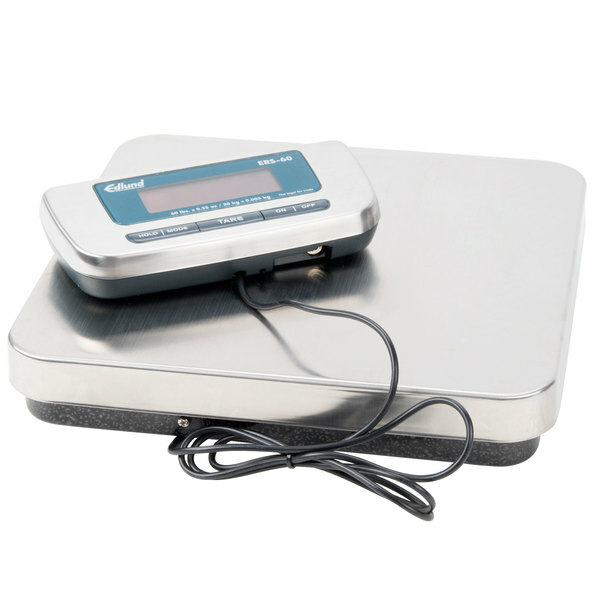 receiving scale features an easily programmable, remote LCD display that includes a wall mounting bracket to secure the display to any flat surface. 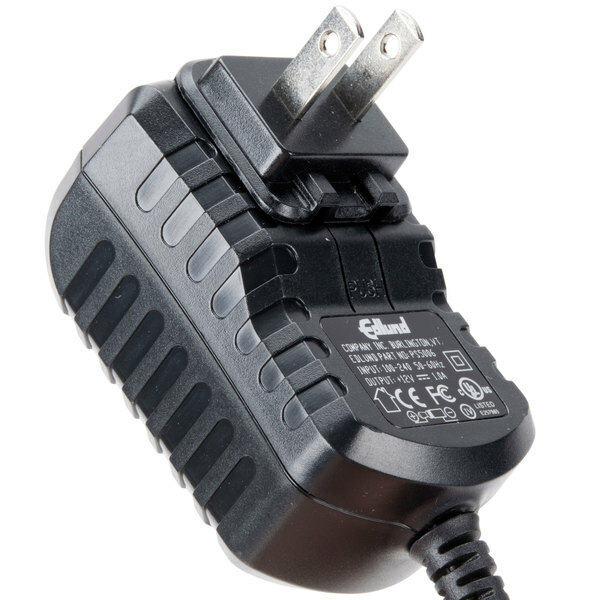 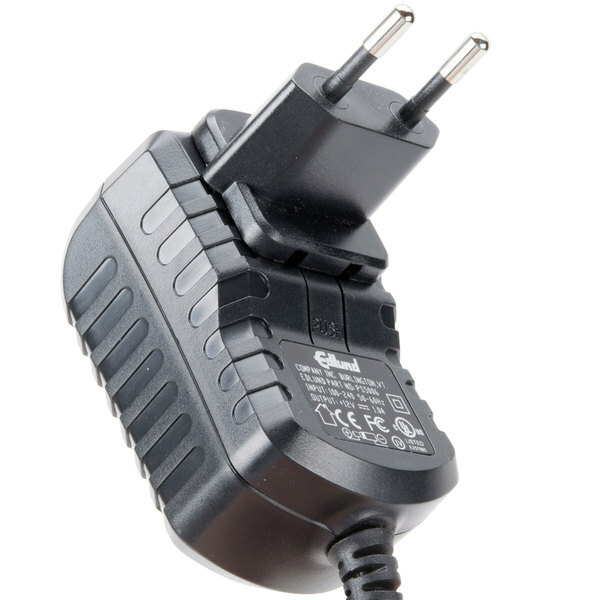 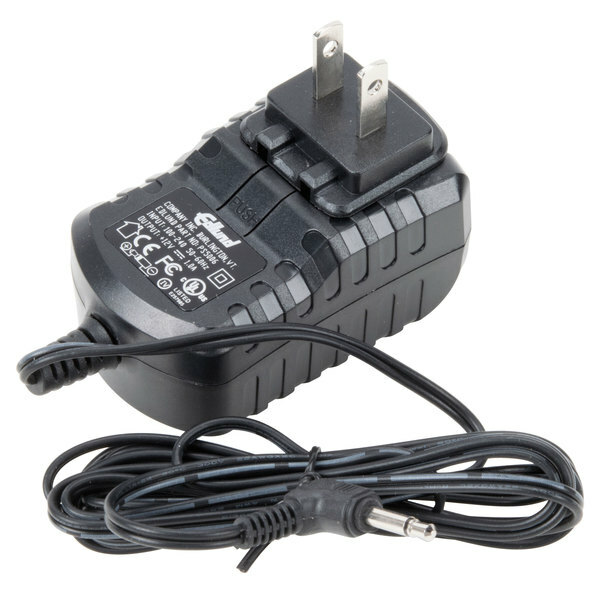 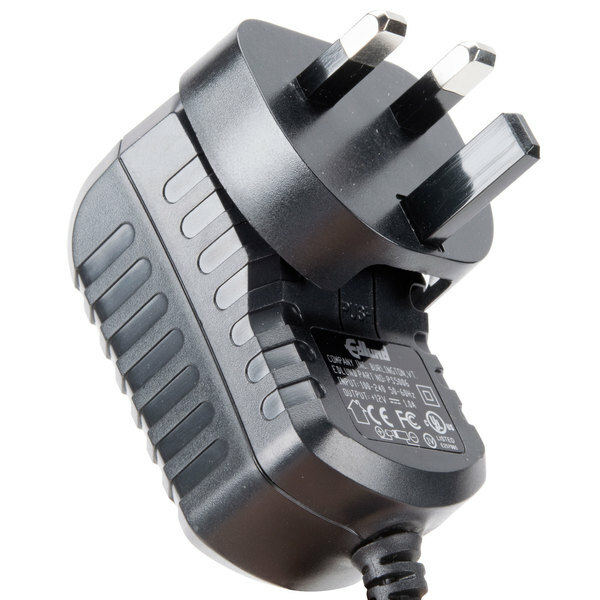 A dual voltage battery charger is included. 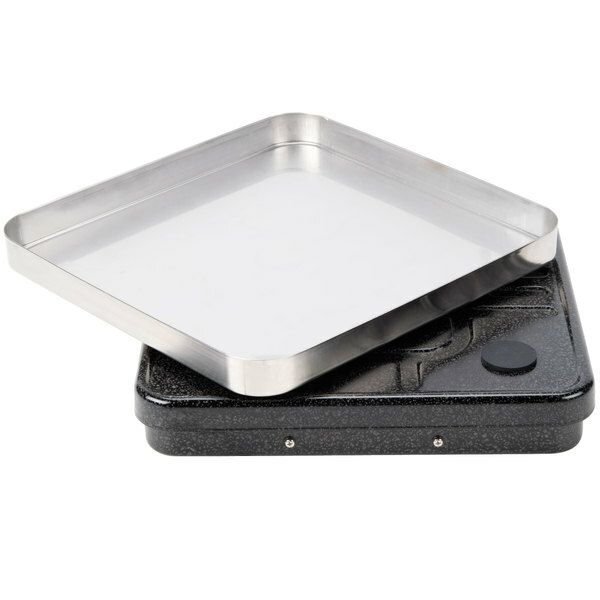 60 lb. 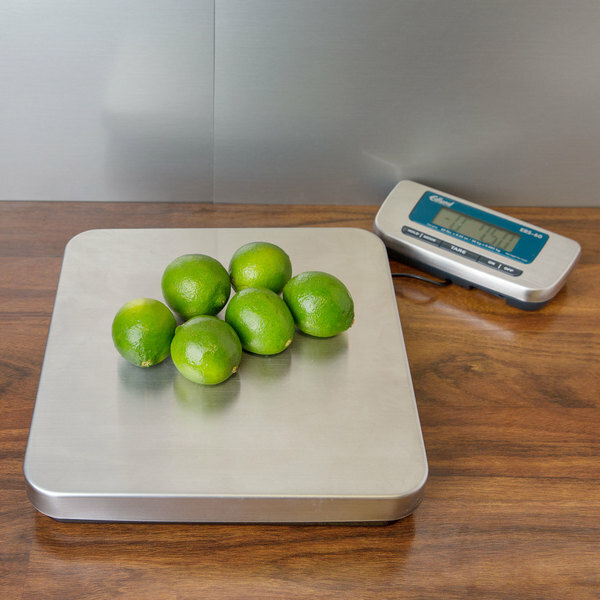 x 0.25 lb.